What if any road could become your personal route to adventure and excitement? Most Americans aren't planning their vacations the right way. Far too many of us have fallen for the ruse that it's necessary to pay for pricey airline tickets and hotel rooms if we want to visit famous attractions and popular cities. This couldn't be further from the truth. The road actually provides travelers with the most freedom when it comes to going where they want to go and seeing what they want to see. You might be thinking that a road trip just isn't for you because your car is far too small to accommodate all of the people and supplies you'd need to take with you on a vacation. It's time to think outside the box when it comes to going from one destination to another. 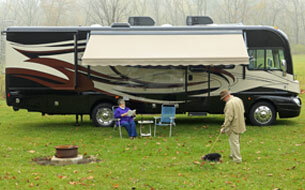 Did you know that you can actually rent a camping RV for your next trip? 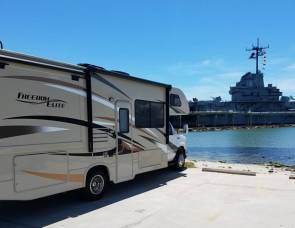 More and more people are looking into RV car rental options to help them plan amazing weekend getaways and epic road trips. Finding a camping car USA travelers can use to see great landmarks is now easier to find than ever before. Did you know that you can explore every inch of road in the country if you have the right vehicle? For instance, it only takes a few minutes to find a camping car rental San Francisco vacationers can use to explore popular attractions all along the West Coast. 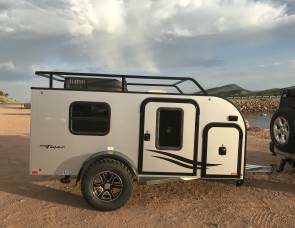 It’s also interesting to note that a camping car rental Las Vegas vacationers pick up can be used to explore desert highways or drive to the bright lights of the city. Cost is always an important factor when a vacation is being planned. The goal for most people is to plan a trip that squeezes the most out of every dollar. Are you focused on seeing as many attractions, landmarks and points of interest as possible without overspending on your trip? Travelers who rent camping car options using peer-to-peer platforms can pay the least amount possible to see amazing places. How much can you expect to pay when you rent a vehicle? The answer depends on the type of RV you're planning to rent. Basic models that are on the smaller side can be rented for as little as $50 per night. This is a big deal when you consider that it’s virtually impossible to find a room at any hotel, motel or inn for so low. Even most campsites actually cost $50 or more these days. 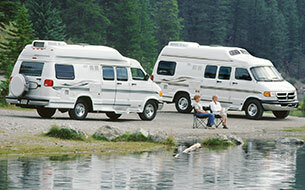 If you're looking for RV models that are slightly larger, you can expect to pay slightly more. High-end models with lots of bells and whistles typically go for between $100 and $200 per night. It should be pointed out that paying more per night for a model with more space could actually save you more money in the long run. 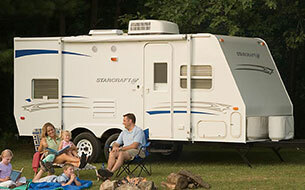 Any RV that has enough room for your entire family to comfortably sleep will save you the cost of renting one or more rooms each night simply to enjoy some peaceful rest. When Was the Last Time You Truly Enjoyed a Vacation? It can often feel like planning a vacation actually entails more work than it does relaxation. This is because the process of booking pricey airfare and trying to find rooms at hotels near the attractions you wish to visit can take weeks. It doesn't get easier once you actually finalize all of those plans with the various companies you'll need to collaborate with. The toughest part of pulling off a vacation is actually trying to get where you need to be on time. There is always the stress of packing your bags, getting to the airport on time and dealing with the complicated procedures of boarding a plane. Of course, you'll feel like you're in a tailspin as soon as you arrive at your destination because you'll need to find your luggage and arrange some way to get to your hotel. You may even be exhausted from jet lag or the need to endure layovers during your journey. It doesn't get easier once your vacation is actually started. You'll need to deal with restrictive check-in times and driving long distances back and forth to your hotel just to see what you want to see while you're on vacation. Are you feeling exhausted just thinking about what it will take to plan your next vacation? If you're wondering if there's an easier way, you should know that a better system for getting where you want to go and seeing what you want to see might only be a click away. If you've ever looked into the costs associated with owning an RV, you probably already know that it requires significant resources to make a purchase that big. 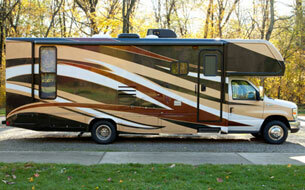 A commitment of this size may not be a smart choice if you'd only be using your RV a few times a year. The cost to store and maintain your RV could definitely turn what seems like a fun purchase into a bad investment in a short span of time. The good news is that you can enjoy a fabulous rental camping car USA whenever you need one simply by using a peer-to-peer platform. 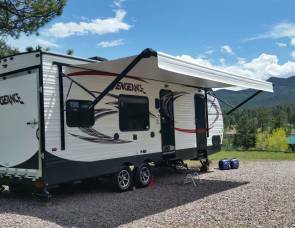 The great thing about using a camping car rent company for vacations is that you can choose models of different sizes and layouts based on who you'll be bringing along on each trip. 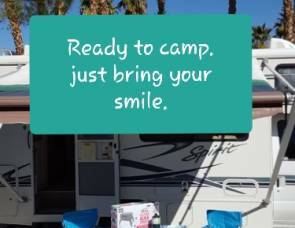 Whether you'll be starting your trip on the East Coast or you need to find a camping car rental Los Angeles residents can use, you won't have to search for very long to get what you want.